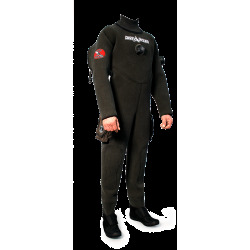 DiveSystem manufactures Made to Measure Dry and Semi-Drysuits since 1993. Chosen and trusted by the Best Military and Special Forces that used to make a Made to Measure Diving Suit for each dive operator. Discover the new DiveSystem Remote Measure to create your Made to Measure diving suit directly from home. 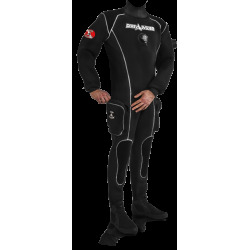 Made to Measure Diving Suits There are 11 products. 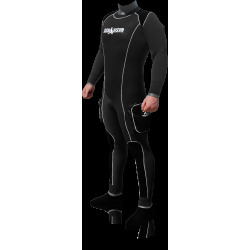 DiveSystem manufactures Made to Measure Neoprene Dry Suits since 1993. 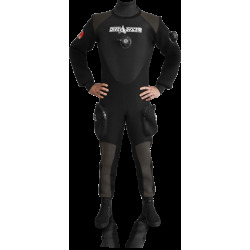 Chosen and Trusted by the Best Military and Special Forces, they are used to make a Made to Measure Dry Suit for each dive operator. Discover the new DiveSystem Remote Measure to create your Made to Measure Dry Suit directly from home. 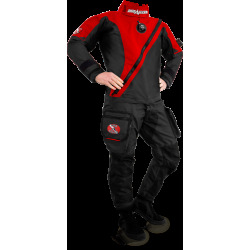 DiveSystem manufactures Made to Measure Trilaminate Dry Suits since 1993. Chosen and Trusted by the Best Military and Special Forces, they are used to make a Made to Measure Dry Suit for each dive operator. Discover the new DiveSystem Remote Measure to create your Made to Measure Dry Suit directly from home. 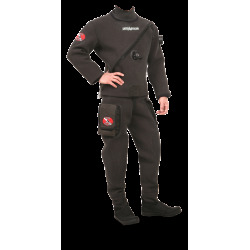 DiveSystem manufactures Made to Measure Semi-Dry suits in Italy since 1993. Discover the new DiveSystem Remote Measure to create your Made to Measure Semi-Dry suit directly from home. Our most technologically advanced Dry Suit, the Shipboarding NATO dry suit has been designed in collaboration with Military Special Task Forces, with Special Materials and Special Tailoring Techniques. We consider the Solo Shipboarding our best Trilaminate Dry Suit in terms of mobility, comfort, and overall resistance. Made to Measure option is available. Our most technologically advanced Dry Suit, the Shipboarding dry suit has been designed in collaboration with Military Special Task Forces, with High Quality Materials and Special Tailoring Techniques. We consider the Solo Shipboarding our best Trilaminate Dry Suit in terms of mobility, comfort, and overall resistance. Made to Measure option is available. A perfect combination of lightness, freedom of movement, mobility, and resistance. 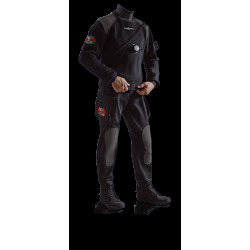 This is the DiveSystem's Solo Expedition Trilaminate Dry Suit. Made to Measure option is available. Solo N is DiveSystem's best front zipper Neoprene Dry Suit, the Thermal Insulation of the H.D. 2mm Neoprene, the Superb Abrasion Resistance of Supratex and the freedom of movement guaranteed from the Front Zipper and Telescopic Torso. Solo NK is DiveSystem's toughest front zipper Neoprene Dry Suit, the Thermal Insulation of the H.D. 2mm Neoprene, the Extreme Abrasion Resistance of Full Kevlar and the freedom of movement guaranteed from the Front Zipper and Telescopic Torso. Reliable, Simple, Resistant. 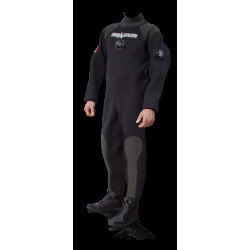 The Challenger is the Dry Suit chosen by the Italian Navy. Made with technologically advanced materials such as 3,5 mm H.D. Neoprene with Supratex® outer lining and, for the areas of greatest wear, a Kevlar® layer. Super Resistant, Reliable, Simple. The Challenger K full Kevlar is the Dry Suit chosen by the Italian Police. Made with technologically advanced materials such as 3,5 mm H.D. Neoprene with Full Kevlar® outer lining and, for the areas of greatest wear, an extra Kevlar® layer. Soft, Warm and Elastic. Comfort at its best. A Special edition of the Soft Ice brought the Sochi Olympic Torch into the cold waters lake Baikal lake (Russia). Made with innovative PoLiFlex® M.D. neoprene with Lycra® outer lining for highest comfort thanks to the softness and elasticity.